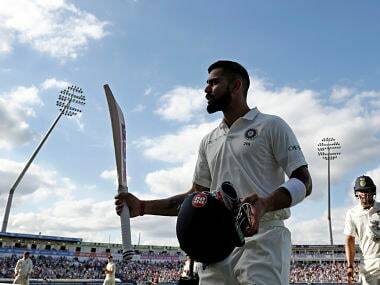 Edgbaston: Virat Kohli took a giant stride towards exorcising the ghosts of 2014 with a masterful century as he single-handedly pulled India out of the woods against England on an eventful second day of the first Test. Kohli’s innings is worth its weight in gold simply because of the situation the team was in. Dhawan and Murali Vijay (20) did the hardwork of seeing off the new ball with a 50-run stand but it all went awry after that.